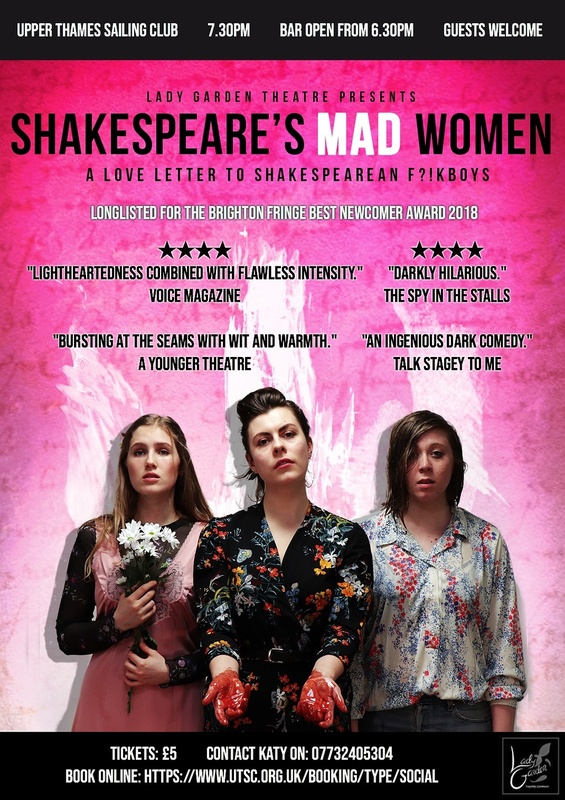 The 'Lady Garden Theatre' present Shakespeare's Mad Women. (Age 14+). Bar will be open from 6.30pm. The performance starts at 7.30pm, and lasts for 1 hour 10 minutes. £5 entry - pay on the door. Please book online or contact Katy.